Students will practice transferring their fiction reading skills in order to engage with nonfiction texts with a critical eye. RI.4.2—Summarize the text by determining one main idea and supporting key details. Class set of handout 1.4, “I Wish I Could Have Seen the Falls.” You will need to scroll down a few pages to get to the story itself. Class set of handout 1.7, “The First World Trade Center,” by Shana Brown. You will need to scroll down a few pages to get to the story itself. Readers envision as they read in order to better understand and engage with the text. Entry Question: Can you picture a place in your mind that was very special to you when you were little? What did it look, smell, sound, feel, and—if you’re really adventurous— taste like? My friends were there, and I have so many stories about this place (you might refer to your own stories later as your teachings progress). Have one or two students share. Today we will practice envisioning. Readers play a movie in their minds as they read. I’ll show you what kind of movie I play in my mind, and then you will practice with your own texts. This is important, because if you cannot envision or picture people, places, and action in your minds, you tend to get lost and give up on the text. When you envision, you keep reading, because it’s like you are there, watching the story unfold. The story is a narrative nonfiction story titled “I Wish I Could Have Seen the Falls” by Carol Craig. 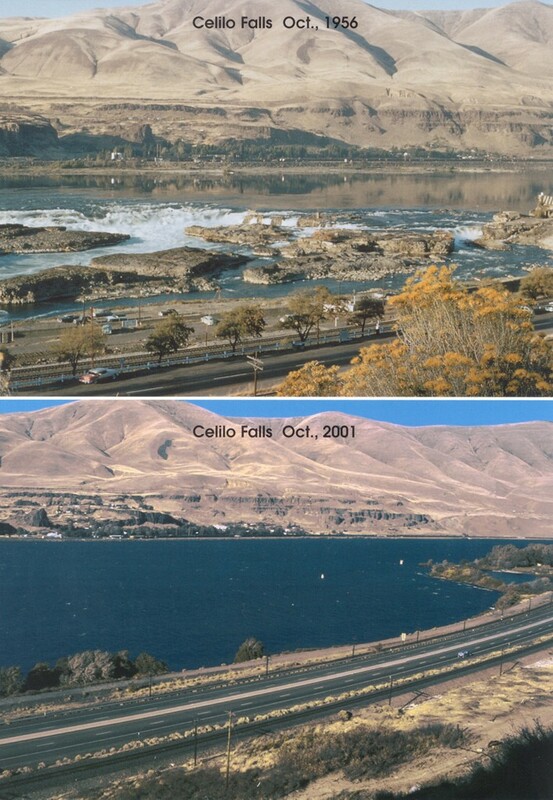 The story is about “Celilo Falls,” located on the Columbia River. As I read, I want you to picture in your mind all the sights, sounds, and smells of this place. Be prepared to share and be prepared to do some writing and drawing in your reading journals. Briefly show on a map where the Columbia River is located. Allow students to practice with partners. On chart paper, draw what you envision and invite students to do likewise in their reading journals. Students return to their seats to practice envisioning in their personal reading. Confer with students as needed. Differentiation: Each student has a text at the proper reading level. Assessment: Exit Slip: Explain what envisioning is and how it helps your own reading. OPTIONAL: Journaling: Draw what you read today. Homework: On your own paper, write everything you recall from the story about Celilo Falls. Readings from “Living in Celilo: A Storypath Exploring the Lasting Legacy of Celilo Falls” curriculum. Free, downloadable lesson plans. “I Wish I Could Have Seen the Falls” by Carol Craig and accompanying questions. “The First World Trade Center,” and glossary by Shana Brown and accompanying questions. Photographs of Old Celilo from the Celilo PowerPoint. One copy of handout 1.8, “Pictures of Old Celilo,” for document camera or distribution. Access to Google Maps and method for projecting on a screen. Yesterday we practiced our envisioning skills using a narrative nonfiction story about Celilo Falls. You used your senses to create a picture in your mind that you could then draw in your journal. At home, you wrote about all the things that happened at Celilo Falls. Share them with a partner. Turn and talk. Share and create a list on chart paper of things that Chuckie’s grandma did. Entry Question: Would you like to visit this place? Today, we will compare how history, time, and people change places over time. When readers compare and contrast, we will not only be able to make meaning out of change, but also be able to investigate the how and why behind the change. Show students an old picture of the place and compare it to “Find the Place”on Google Maps (tutorial on how to navigate street view). Lead-In: Example: I’ve visited my home street from time to time. A lot of changes have occurred that confuse and sadden me. They changed the name of the road to “Elmwood,” they took out all our fruit trees, they built houses in what used to be my best friend’s pasture. There are very few lawns and my gosh, they tore down so many houses that I remember playing in. Why? Show a picture of the place as it was. Show the street view on GoogleMaps the way it is now. Have you ever gone back to your place? How was it different? Or, if you haven’t, can you imagine what might or could have changed? Turn and talk. Yesterday’s story about Celilo Falls is like that. You saw a video about how amazing the place was. We described it, used our senses. Let’s talk about the importance of the place, who felt it was important, and why. Read your mentor text, “The First World Trade Center,” by Shana Brown. Informational nonfiction is read a bit differently. Focus on writing summaries of sections of the article using Post-It Notes. (If students highlight, make sure they also respond and summarize in their reading journals). Connect it to the first part of “I Wish I Could Have Seen the Falls.”How would Chuckie feel knowing these falls had been destroyed? How do you think his Grandma feels? Assessment: Exit Slip: a three to five sentence summary of the article, or emerging learners submit a partial summary Post-It Note. Entry Question: What was “The First World Trade Center,” article trying to teach me? How can I use my summary and other reading skills to help me understand what the author was trying to teach me? Lead In: Sometimes reading a narrative nonfiction story is easier than expository text. Why? Turn and talk (dialogue, description, etc.). Lesson: Today you are going to let the text talk to you in order to help you better understand the information and big ideas of a nonfiction selection. Read the beginning of “The First World Trade Center” as though you are reading to a young child. Was it easier to understand when I read it aloud? Emphasized certain words? You try. Another strategy: Substitute personal pronouns so it reads instead, In the late 1930s, the U.S. government itself wanted to control you, subdue you, and use your massive power for hydroelectric power generated by dams. They also wanted your water for irrigation supplied by reservoirs that were created as a result of building those dams. This would destroy most of your sacred tribal fishing grounds, including Kettle Falls and Celilo Falls. Now you give it a try as you read your own independent reading book. Post-It Notes that indicate comprehension (summary, recall,phrase) will be due at the end of independent reading time. Assessment: Write a Post-It Note using each strategy. Identify which strategy works better for you and why. Collect written summaries (or if students wish to revise, they may take another night to do so), and assess summaries for main idea and key supporting details. HOMEWORK: Over the next two days, you will locate a place like Celilo—a place that has changed over time. You and a team will investigate why and how the change happened. Complete the “Community Observation” handout. Once you have finished, paste it or tape it into your reading journal on the left side so that you can write notes about those places on the right side of your reading journal. Tie-In: Yesterday you learned two new reading strategies to help you tackle expository nonfiction. Entry Question: How did you do? What worked best for you and why? Turn and talk. Lead-In: Today I’m going to teach you to revise at least one of your Post-It Notes to take your thinking to the next level. Readers do this to be better investigators. Lesson: I’ve written a few Post-It Notes about “The First World Trade Center.” Point to your poster of the student-facing rubric. What is the difference between Level 1 and 2? Turn and talk. What is the difference between Level 2 and 3? Turn and talk. When you go back to your independent reading, revise one of your Post-It Notes. Try to take your thinking to the next level and write it down on a new Post-It Note. Assessment: Put your name on your best Post-It Note and turn it in as an exit slip. HOMEWORK: Highlight the Native words in “The First World Trade Center.” Make sure your “Community Observation From” is complete. Wallace Stegner quote: No place is a place until things that have happened in it are remembered in history, ballads, yarns, legends, or monuments. “Since Time Immemorial” videos of Celilo. Computer with links to Ichiskiin recordings of Celilo and Nch’i Wana or uploaded to your mp3 player. Tie-In: Yesterday we learned to deepen our thinking when reading expository nonfiction. Entry Question: Now, where did that deeper thinking get us? What do you think the “big idea” of “The First World Trade Center” is? Turn and talk. Lead-In: Today I’m going to show you that the history of places all around us is fascinating and important, because history teaches us about our community and who we are today. I love history. What I like about it is its layers. Remember how earlier I talked about my childhood home? I would love to know what turned it from a nice, crisp clean home with trees, lawn, and a beautiful pasture to what it is today. I’m even more curious about Celilo. I know what happened, but I want to know more about how and why and what it all meant. Lesson: Share your “Community Observation Form” with your partner. Based on what we have been talking about, you know that place has not always been the way it is today. What do you think it was called before it got its current name? Example: Do you think the Columbia River was always called the Columbia? Note: In 1792 explorer and fur trader Robert Gray sailed there on his ship, Columbia Redeviva. He renamed the river the Columbia after his ship. You found out in your article that it was called something else. Its original place name is Nch’i Wana. Here’s the pronunciation: Play the mp3 file. Now, here’s Celilo. In fact, it’s spelled “Silaylu”. Play the mp3 file. Those have been the place names of these two bodies of water “since time immemorial,” tribal people say. Since the beginning of time. There is archeological evidence that tribal people have been here for at least 10,000 years. It’s only been known as the Columbia for a little over 220 years. Show the video “Tribal Homelands,” Chapter 5, which details the importance of Celilo. Optional: Make copies of the transcript so students can use it for an alternative source when they practice differing points of view in week 2. Practice saying the two words aloud. Why is it important to know that history? Turn and talk. We as citizens of our community want to uncover the many layers of the history around us to understand the people around us. As you go read from your independent reading books, start envisioning the history of that place or one of the places you have observed over the past two days. Use this opportunity to do a small group re-teach of summary skills for those summaries that were below standard. Weekly Assessment: Pick one of the places you just wrote about in your reading journal. Make a journal entry about what you imagine the history behind your observed places might be. HOMEWORK: One more journal entry on your independent reading. 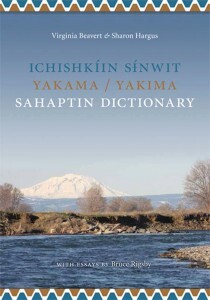 Teach at least one other person the traditional names and pronunciations of Celilo and Columbia River.